Our Kindergarten aims are carefully crafted with Fijian schools and nationally supported by the Fijian government. On every project, you will have the opportunity to work within the local Kindergarten. If a Kindergarten doesn’t exist already, you will work with our staff and the local community to establish one! Running early years’ education programmes for children aged 3-5 is fun, rewarding and thoroughly exhausting. We encourage all our volunteers to try a little time supporting these remarkable village children. ‘Kindi class’ takes place for approximately three hours each morning. The kids are adorable, excited and eager to learn. 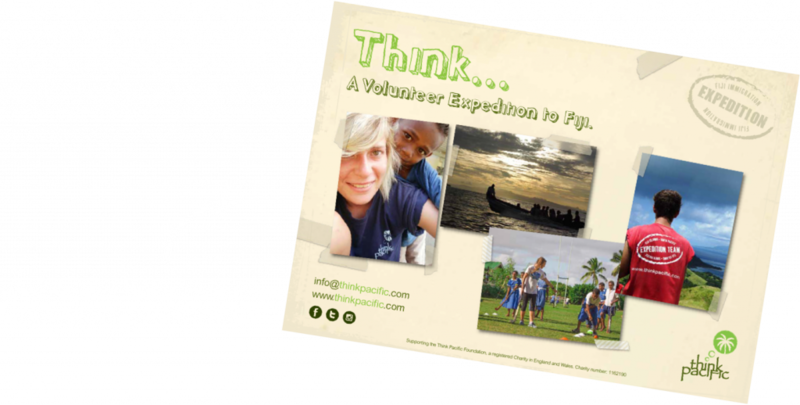 You will work with Fijian volunteers and local teachers to teach basic English language, literacy and numeracy, as well implementing Toothbrushing & Hand Washing Clubs. Whilst introducing fun and interactive activities such as music, songs, drawing, painting, crafts, story time, outdoor play and sports! Although children will learn Fijian at home first, when they reach school, the entire curriculum is taught in English. Children must therefore have an excellent grasp of English reading and writing to enable them to progress through their studies. Establishing kindergarten programmes improves children’s basic skills in English at an early age, and can make an immense difference to the quality of a child’s long term education. 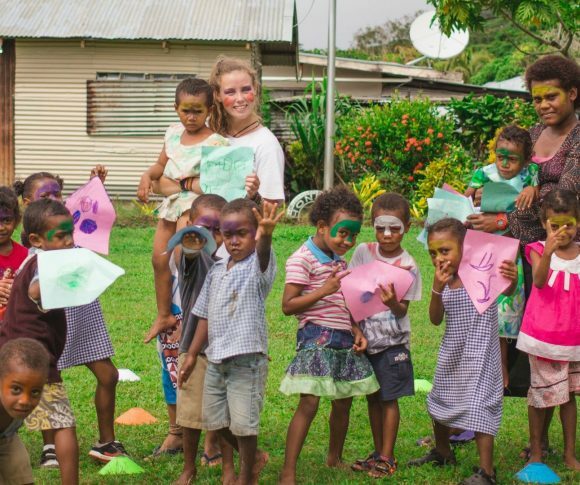 Our kindergarten projects are providing some of the first early years’ education in Fiji, enabling students to have a vital educational grounding for school. 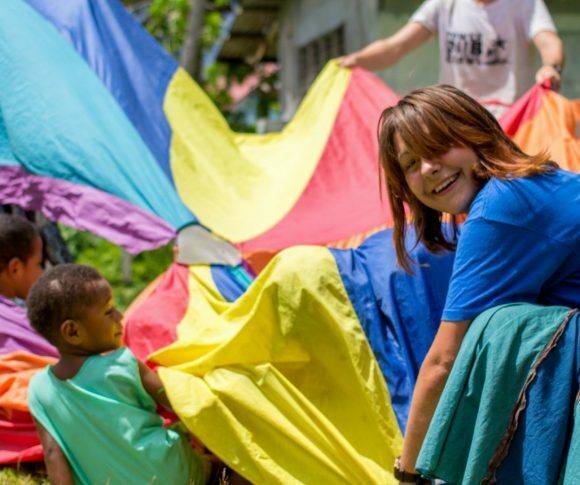 Provide Fijian Children with the best possible start to life through Early Years Education. Teach the children basic phonics, numbers and shapes; sing some nursery rhymes, play some games and educate them on dental hygiene. Incredibly enjoyable element of project, hugely rewarding and a lot of fun! Within some of the rural communities kindergarten’s don’t exist, providing you with the perfect opportunity to establish a base for early years education that we can develop and sustain long term. Teach a Child their 1, 2, 3's or A, B, C's For the First Time! Good morning song, bean bag games, weather and day chart. Colours, numbers, shapes and phonics – all in theme of the week. A well deserved snack after a fun filled start to the day. Dental hygiene is severely lacking in Fiji. It’s an integral life lesson that leaves a lasting legacy. Bring your favourite childhood games. Duck, Duck, Goose is always a favourite. The messiest part of the day which hugely nurtures the children’s imagination and creativity. With five days left I am struggling to come to terms with how I am going to wake up without my little sister singing “Morning Alex, how are you?” in my ear, a song we have taught in Kindi. How am I going to cope without Kara’s infectious giggle following me around the village or Te’s killer dance moves putting the other toddlers (and TP volunteers) to shame? Most importantly how will I manage without seeing my Fijian family each day with their warmth and generosity? Fiji will definitely be seeing me again very soon! Our Kindergarten aims are carefully crafted with Fijian schools and nationally supported by the Fijian government. 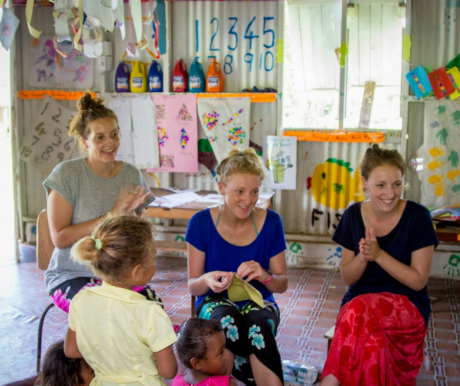 Our volunteers bring a wide range of new engaging activities, nursery rhymes and play focused learning methods to teach basic English and Maths to the children. 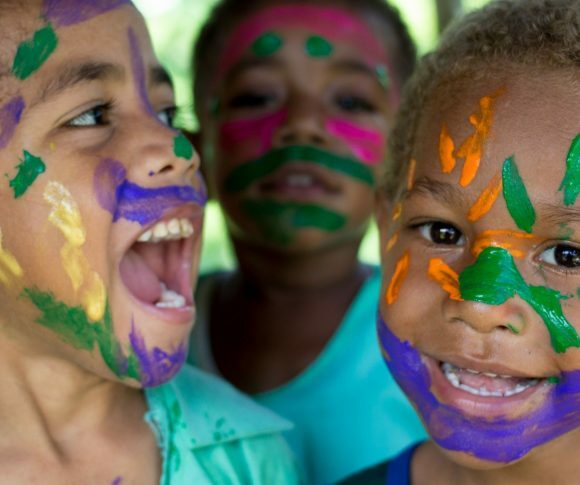 Our kindergarten projects are providing some of the first early years’ education in Fiji, enabling students to have a vital educational grounding for school. 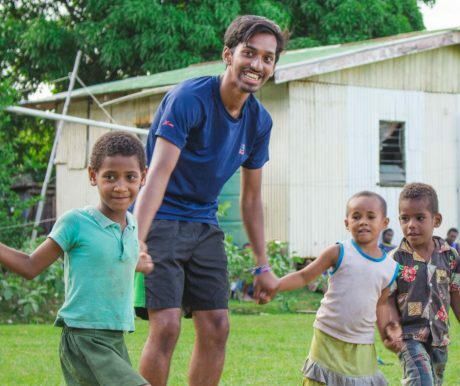 Alongside the work of our volunteers, our charity in Fiji supports schools in the long term – providing educational resources, renovating school facilities, building kindergarten schools and providing teacher training. Does Teaching Early Year’s Education in the South Pacific Inspire You?